With over-scheduling being the social norm, it can be very difficult to gather your entire crew together for family time. It can be even harder to make sure that the family time you do get is fun, enjoyable, and memorable. Read on to find out six simple strategies for getting in better quality family time with the ones you love. Or at least turn off the data. Smart phones are valuable tools but they can also be costly distractions. Your family wants to spend actual time with you. You can be present physically without being available emotionally because your face is in your smart phone. Turn it off. Put it down. Be completely available to your children and your spouse. Time spent with family is important; so whether you are out to dinner, supervising play time in the back yard, or riding in the car together, try eliminating some phone time. You don’t have to give up social media all together. Maybe you’re at the park and you get the best photo of your little one on the swings. Save the picture for later. Your Instagram followers won’t know or care if you aren’t updating in real time. Snap the picture and put your phone back in your pocket. Enjoy the beauty that immediately surrounds you instead of wasting precious family time updating your social media. Don’t procrastinate. If you have a family vacation scheduled for the weekend, do everything you can to take care of your work and home responsibilities before you leave. Your children will know if you’re dwelling on all the things you need to get back to. And for heaven’s sake, don’t you dare take your laptop on vacation with you. Get your to dos done so that family time can be actual family time. If you’re a structured person that likes schedules, make sure and set aside time to do fun, relationship -building things with your family. On the flip side, don’t get so bogged down in routine and planning that you lose your spontaneity. If you find yourself with five extra minutes in the morning, have a dance party. If your Saturday morning working brunch gets cancelled, round up your clan and make pancakes together. 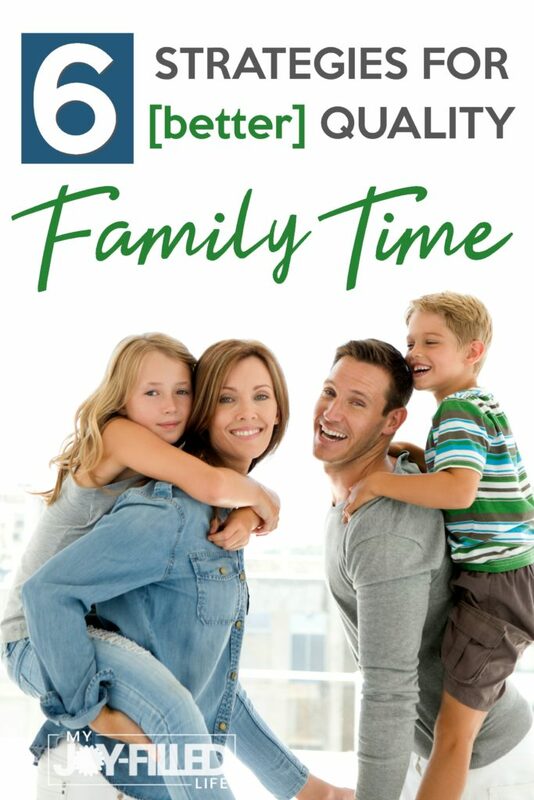 It is important to create regular time together as a family, so make sure it happens whether you plan it or not. Foster ways to bring your family closer together. Make up code names for everyone. Create a family motto, mission statement, or craft a family seal. Start a family journal and let everyone take turns writing entries. Be creative in coming up with ideas to bring your family together in ways everyone will enjoy by having everyone brainstorm together. Creating your tribe will give each family member a sense of pride and belonging. Have you ever been on a day trip with your crew and suddenly everyone reached the point of being, tired, hungry and thirsty, all at the same time? It’s especially bad if you’re not near a store or if you didn’t factor eating out into the budget. Help everyone be in a better mood by the end of the day by always taking snacks and drinks in a cooler, even if you think you won’t be out very long. It’s a small thing that can have a big impact on everyone’s disposition. Share some ways you make family time, quality family time, and ways that you make it a priority! Now that my kids are older, 15&22, one living in a different state, it’s tough. So we have a family call on Sundays, schedule visits 3-4 times a year where we stay at a hotel and pretty much hang out with us the whole time. Dinners, breakfasts & pool time are the musts. With our daughter still at home, but busy, we do a seasonal scavenger hunt and picnic. The list changes with the season and so does the locations. Hot cocoa, cookies, pretzels are our late December snacks…and certain Christmas/winter decor make up our list. Sounds like fun! Thanks for the ideas!